Por que razão? // Why was that? Como será daqui para o ano 2000? // What will it be like by the year 2000? Como será o nosso querido Brasil? // What will our dear Brazil be like? Como será o morro sem os barracôes? // What will the hillside without the shacks be like? Como será o Rio sem as tradições? // And Rio without its traditions? Será que no ano 2000 as escolas de samba irão desfilar? // I wonder if the samba schools will parade in the year 2000? Será que haverá carnaval? Será? // I wonder if there’ll be Carnival? Could it be? Como será? // What will it be like? Só muitos anos depois entendi a grande importância do Padeirinho no contexto da cultura popular. Ele deixou registrado com música, ritmo e rimas, a linguagem das comunidades mais baixas da sociedade. Padeirinho was one of Mangueira’s most versatile sambistas of all time, excellent with improvisation and humorous critical observation of social ills. 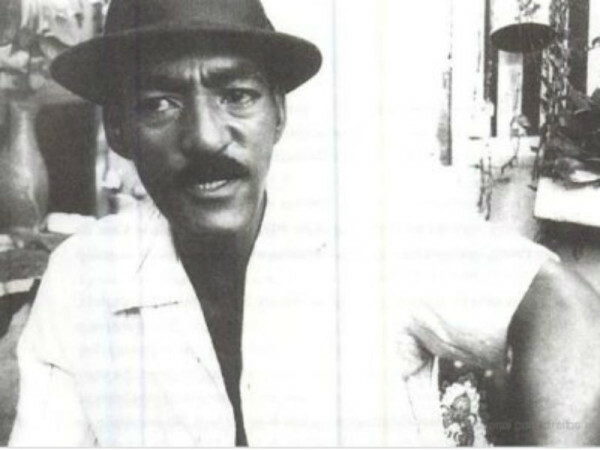 He was an expert in the slang of Rio’s favelas, and used the “language of the morro” to tell his syncopated stories about life in Rio’s lower social rungs in the mid-twentieth century. He may be most remembered for his cheeky use of slang from the morros in songs, as the Nelson Sargento quotation above points out. Many sambistas at the time hesitated to lace local dialect into lyrics: they were trying to conform to a more clean-cut image to appeal to larger audiences and appease authorities. 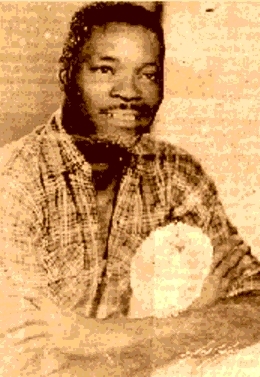 But Padeirinho made several successful sambas that relied on slang from his community, including “Mora no assunto” – his first samba to be recorded, by Jamelão, in the early ’50s – “Deixa de moda,” and “Nota de duque,” one of the most popular sambas on the morro in the late 1950s. Around then Padeirinho came to the conclusion that he should provide a translation so some more people could understand him, and he wrote one of his most popular sambas, “Linguagem do morro,” which provides a clever list of concepts that were called by different names on the morro. Padeirinho was born Osvaldo Vitalino de Oliveira on March 5, 1927, in Laranjeiras, Rio de Janeiro; he earned the nickname “padeirinho” because his father was a padeiro – a baker. He moved with his father to the samba stronghold of Morro da Mangueira when he was ten, and began to compose around age thirteen. Padeirinho never had the chance to go to school and felt ashamed of his illiteracy. Through samba — finding rhymes and constructing lyrics — he taught himself to read and write. He began singing his sambas in canteens around the community for whoever would listen. He also began drinking at a very young age in those canteens, and samba and alcoholism would remain two constants in his life. Padeirinho with his wife Cremilda. The couple had twelve children together. Padeirinho used to say 1947 was “his year”: that year, an older brother-in-law brought him to sing for the composers at Mangueira, where he performed his samba “Mangueira desceu para cantar,” and he officially entered the composers’ wing of the school. He married his wife Cremilda that year – they stayed together until their deaths forty years later – and he landed a steady job as a stevedore at Rio’s port, alongside many sambistas including Aniceto do Império, one of the leaders of the stevedores’ union. Another sambista and founder of Império Serrano samba school, Eloy Antero Dias, set Padeirinho up with the job, and there were so many sambistas on the docks – imperianos in particular – that Dona Ivone Lara said Império Serrano should actually be called the Union of Stevedores. 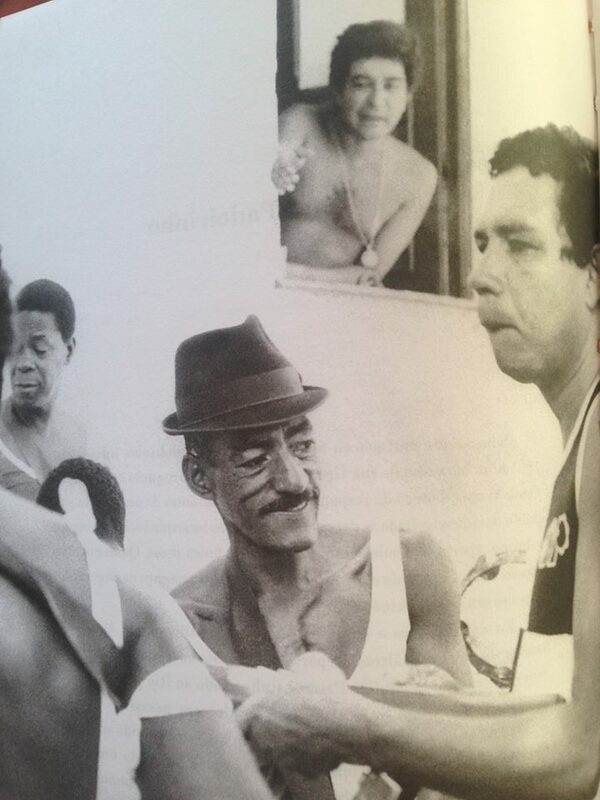 Bloco Clube do Samba” 1980, L-R: Eliseu do Tamborim, Padeirinho (center), Franco Paulino & João Nogueira in the window. Mangueira at the time was a hotbed of samba, and as Padeirinho continued composing, big name recording artists became his fans and recorded his songs, beginning with Jamelão in Rio and Germano Mathias in São Paulo. Other samba legends who released Padeirinho’s sambas include João Nogueira, Paulinho da Viola, Beth Carvalho, Candeia, Martinho da Vila, Moacyr Luz, Xangô da Mangueira, Clementina de Jesus and Elza Soares. In 1987, forty years after “his year,” Padeirinho was supposed to record his first album. But his wife Mida died in late 1986. Padeirinho, weak and heartbroken, died two months later, in January 1987. “Modificado” is a response to bossa nova. In 1959, Padeirinho went twice to São Paulo and returned home frustrated, saying he had been hoping to hear Germano Mathias’s recording of his song “Zé da pinga” on the radio, but instead only heard Celly Campelo’s “Estúpido Cupido,” some other pop songs, and bossa nova, which everyone was talking about, albeit with mixed reactions. Padeirinho’s fellow sambistas around Mangueira hated the new style: samba with totally different sounds, rhythmic inflections and accents. But despite his frustration, Padeirinho didn’t mind it, and defended it as “samba all the same.” In response to all the fuss, he wrote his humored syncopated critique of this new, modified samba: “Modificado,” which makes reference to the bossa nova song “Desafinado“(out of tune). “O Grande Presidente” is one of the finest examples of the kind of bombastic samba-enredo that dominated Carnival in the 1950s and 1960s, full of statements about opulence, magnificence and glory. Mangueira came in third place that year, behind Império Serrano (Caçador de Esmeraldas, by Silas de Oliveira & Mano Décio) and Portela. This specific kind of samba is called a “samba-lençol” (sheet samba) since it covers the story of the person being paid tribute to from top to bottom, start to finish. The samba pays tribute to Getúlio Vargas, Brazil’s controversial populist leader who governed Brazil from 1930-1945 as a dictator and 1951-1954 as a democratically elected president. Vargas came to power in the revolution of 1930 mentioned in the song, and made a big push to industrialize Brazil, as the samba says. In August 1954, growing unrest signalled an impending military overthrow of Vargas. Before that could happen, he shot and killed himself in Catete Palace. Because of his populist principles, Vargas was known as the “father of the poor,” and Padeirinho’s samba in tribute to him, composed shortly after Vargas’s death, is widely considered one of the most beautiful samba-enredos of all time. Rocinha favela c. 1950. Image via Favelatemmemoria.com.br. First a few notes on the translation: Nega is a term of endearment in Portuguese, featured in this post; it refers to the singer’s wife. “…To stick her breasts in the madame’s kitchen” literally means to work in the kitchen, and just to clarify, the cats are cracking up laughing from joy because they’re no longer going to get eaten, thanks to the Ministry of the Economy. In 1950, Getulio Vargas, populist president-dictator of Brazil from 1930 – 1945, ran for and won back the presidency. Shortly after taking office in 1951, he announced the creation of a new government agency for economic advisement and planning. But in spite of Vargas’s populist rhetoric about the boons of this economic planning office, Geraldo Pereira, an Afro-Brazilian sambista who grew on Morro da Mangueira, was highly skeptical of how this new agency would help him, so he wrote this sarcastic song about it. In the late 1940s Ary Barroso remarked, “I am not a sambista, Geraldo Pereira is a sambista.” Above, Geraldo Pereira. 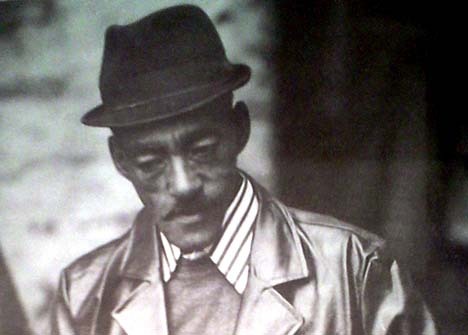 Expressing his frustrations through sharply critical popular sambas, Pereira was one of the most notable composers who reclaimed samba from the state that had largely co-opted it during Getulio Vargas’s dictatorship. While in power from 1930 – 1945, Vargas supported and exploited the expanding broadcast industry in Brazil to build his popularity. One of the ways he did this was by heavy-handedly promoting samba-exaltação, patriotic sambas like Ary Barroso‘s seminal “Aquarela do Brasil” that exalted Brazil’s natural beauty, cultural richness and purported racial harmony. These sambas portrayed the idealized image what it meant to be Brazilian that Vargas wanted people to believe in; and for a decade or so, with Vargas’s help, such patriotic sambas dominated the genre. But Vargas was deposed in 1945, and under Eurico Dutra’s presidency from 1945-1950, the government withdrew from popular culture. By the time Vargas returned to power in 1951, his reign was too tenuous to exercise the same kind of control over music, and the stark contrast between samba-exaltação’s celebration of Brazil’s beauty and harmony and the dire situation of Rio’s hillside favelas made these celebratory sambas more and more laughable. Throughout the 1940s, as favelas expanded on Rio’s hillsides, the government repeatedly promised and failed to deliver basic services. Residents became increasingly cut off, economically and socially, from the rest of the city below. 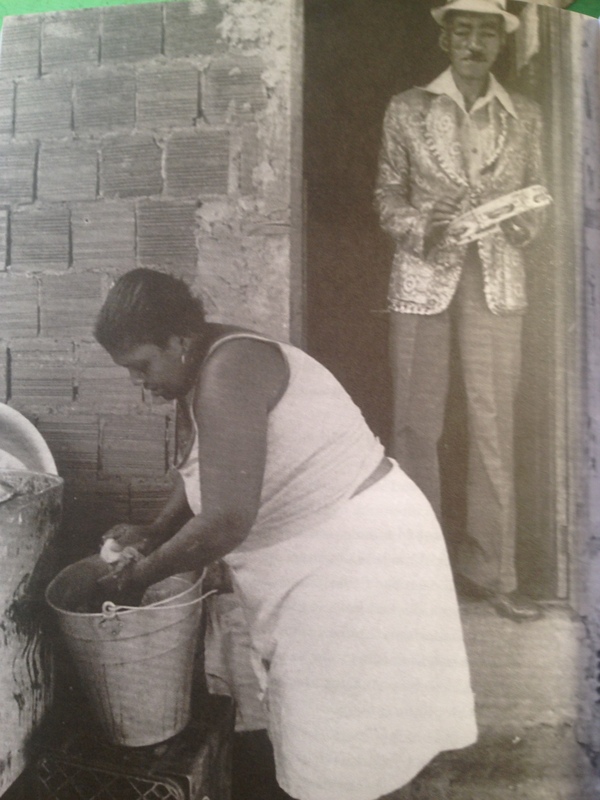 This situation, combined with reduced state control over popular culture, made space for Afro-Brazilian sambistas from the favelas, like Geraldo Pereira and Wilson Batista, to create hits with popular songs scoffing at the government’s rhetoric and laying bare the tragic realities of life in the hillside slums. Other such sambas are “Acertei no milhar” (Wilson Batista and Geraldo Pereira, 1940), “Chico Brito” (Wilson Batista, 1950) and “Escurinho” (Geraldo Pereira, 1955). For more on this theme, the best source is Hello, Hello Brazil: Popular Music in the Making of Modern Brazil by Bryan McCann. 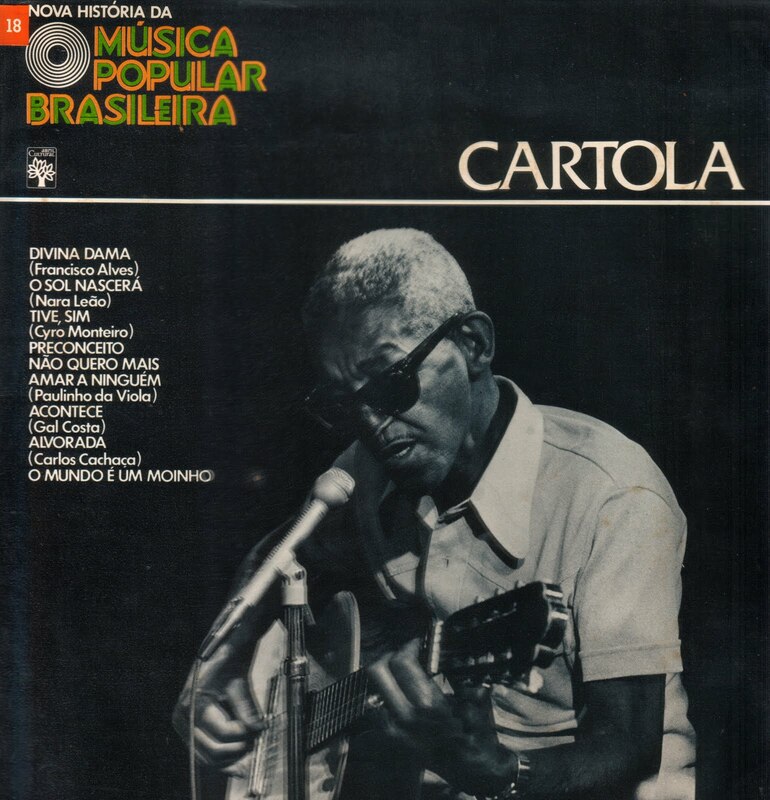 Main sources for this post: Hello, Hello Brazil: Popular Music in the Making of Model Brazil by Bryan McCann; A Canção no Tempo: 85 anos de músicas brasileiras by Jairo Severiano and Zuza Homem de Mello; and Desenvolvimento Econônomico e Reformas Institucionais no Brasil, by Salvador Werneck Vianna.